A fantastic opportunity to buy a superb quality solid oak filing cabinet. This index file/wine rack would have been used originally for index cards in a large office. They do make excellent wine racks, and a unique feature in any home. Each drawer will hold a standard bottle of wine. 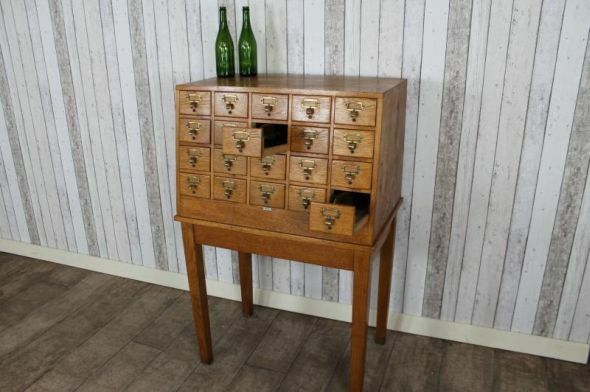 This oak filing cabinet is in excellent condition with all of its original handles. It is in a lovely golden oak colour, and will complement any period or contemporary interior.